Not sure what to do with your live Christmas trees? From 26th December 2012 till 6th January 2013 Be the first 100 to bring them back to IKEA Malaysia Exchange and Returns counter and receive a RM100 IKEA Gift Card and a LJUSA hand-driven LED torch. All trees will be shredded and re-used as fuel. Limited to first 100 customers only. 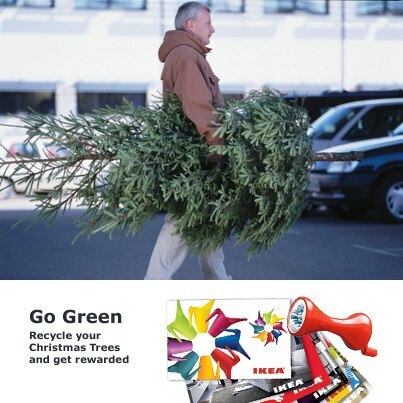 Go Green Recycle Your Christmas Trees and Get Rewarded. 3, 2, 1… Happy New Year 2013!